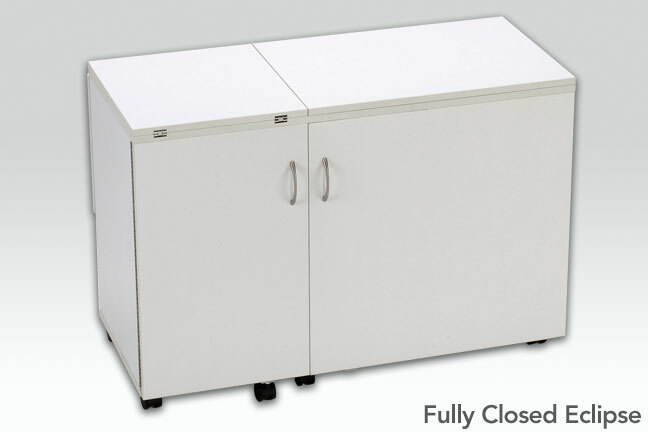 Machine cut cupboard provides years of stability. Thread and notion storage boxes hold all your supplies. Removable accessory and notion trays make arranging sewing cabinets easy. A custom-sized acrylic insert for flatbed sewing is available for most sewing machines. Designed to provide maximum storage and sewing function in minimal space, the Eclipse is the craft furniture of choice for novice sewing enthusiasts and experienced artisans who appreciate exceptional function in unobtrusive but well-built furniture for sewing. 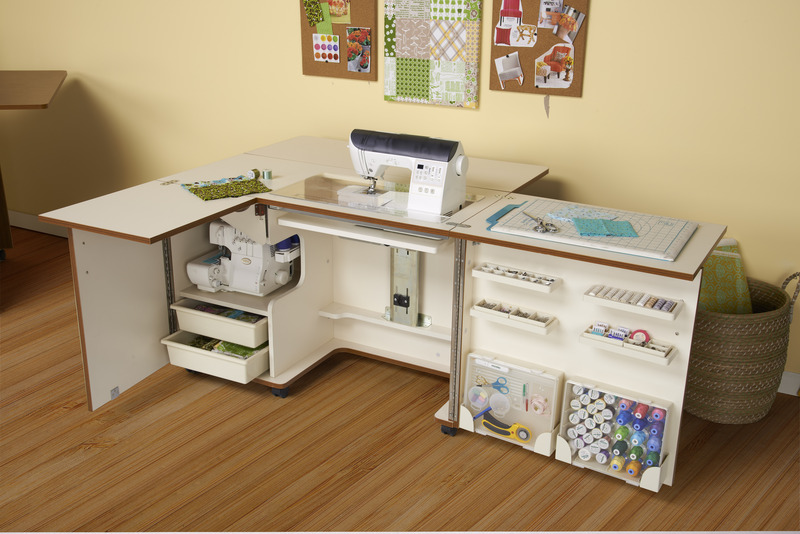 Front, right and back leaf sewing table extensions provide plenty of surfaces to serve as cutting tables, quilting tables or level space to maneuver fabric during free-arm embroidery. 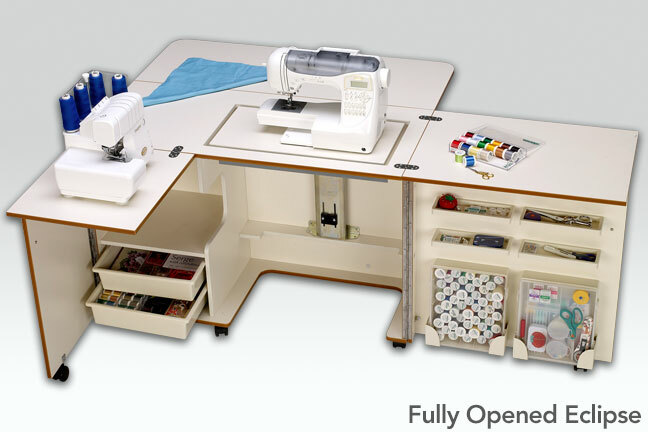 The versatility of the Eclipse means loads of removable sewing storage for all your fabric, thread and notions. And if you like to sew and serge, for example, there’s a place for a second machine too. When you’re done creating for the day, all that real estate closes up into a space-saving 43-1/2” W by 19-3/4”D footprint. The Eclipse features Tailormade’s largest 3-position machine lift platform. The ergonomic lifter opening measures 24-1/4” wide by 12-5/8” deep. Consult your retailer for your machine lift opening and acrylic insert requirements.